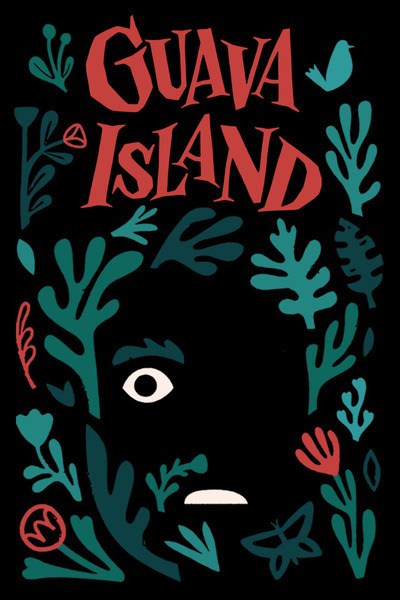 In an opening animated sequence, “Guava Island” tells of how the title land was once intended to be without love and war, before being essentially colonized with factories by a company named Red Cargo. The script by Stephen Glover then takes place on a typical Saturday for two of its citizens, Deni (Glover) and his girlfriend Kofi (Rihanna). It’s a work day, where Kofi is in the factory stitching fabrics with other women like Yara (Letitia Wright), while Deni is shown singing on the radio (“Red’s Cargo is the best cargo”), offering jingles meant to calm the masses. Then, he’s out of there—with a guitar around his back, he dashes through crowds while ask people him about the festival he’s scheduled perform later that night, which everyone on the island anticipates as a break from labor. Deni soon gets to his main job, where he can’t mute his voice of dissent. “We live in paradise but none of us have the means to actually live here,” he says to a peer. When a different coworker talks about moving to America, where things are supposedly different than the oppression on Guava Island, Deni breaks into Childish Gambino’s masterful “This is America,” joined by other workers in accenting the masterful song’s taunting, outraged nature. But then, boom—Deni is kidnapped, and brought to meet boss Red Cargo himself (Nonso Anozie). Deni is given a stern message—cancel the festival tonight or else, because the people of Guava Island would be too tired to work on Sunday like they normally do. Word spreads around the island fast: is Deni going to cancel the show?